Before and after monthly highlight: Get a brand new look and feel to your garage door with a wood overlay door system. Our customer was thrilled with the new look of their door! This high-end carriage door style replacement door gave this house a totally new appeal. 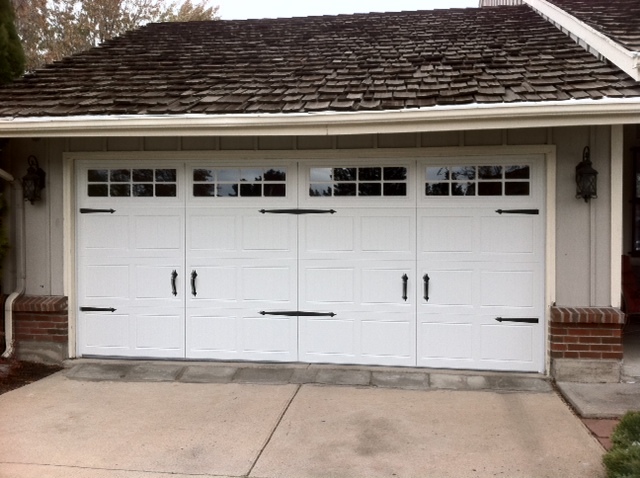 Give us a ring today to discuss options on how you can easily have a new, classy look to your garage with a new door! Replace your old, heavy and hard to use garage door with a new, lighter and more efficient modern garage door. A new garage door can totally change the look of your home – enhancing curb appeal and increasing value.